To avoid injury, step back at least 25 feet from side of vehicle. 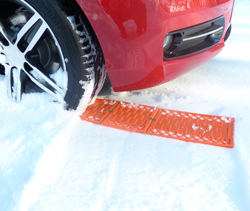 Never stand behind or in front of vehicle when treads are being used. Never hold treads in place when attempting to move the vehicle. Treads may be ejected from under spinning wheels. Be careful when folding the Snow Mat not to trap fingers in the hinges. 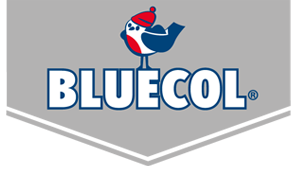 Below is a list of the products specifications and dimensions. 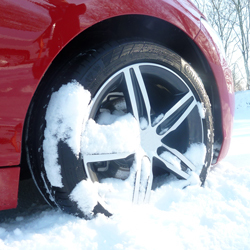 Apply handbrake and ensure excess snow has been cleared. 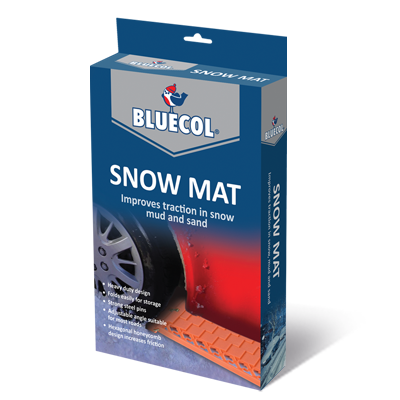 Place Bluecol Snow Mat in front ofÂ driveÂ wheels ensuring the mat hasÂ the correctÂ side facing up. ‘THIS SIDEÂ UP’ is visibleÂ on the mat. AdjustÂ angles if necessary. 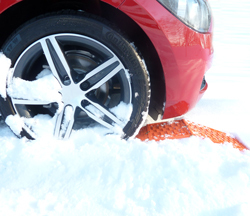 Ensure the narrow end of the mat is pushed under the tyre tread as much as possible. Drive off as normal.